Office of Inspector General (OIG) Report "What's Up with Mail? How Mail Use is Changing Across the United States"
Home > News and Resources > Resources > Office of Inspector General (OIG) Report "What's Up with Mail? How Mail Use is Changing Across the United States"
Click Here to Access the Office of Inspector General (OIG) Report "What's Up with Mail? How Mail Use is Changing Across the United States"
To better understand the changing dynamic of traditional mail use among Americans and look closer at the local peculiarities of mail use, the OIG has analyzed mail volume of 3-digit ZIP Code areas, larger regions, and statewide areas, considering characteristics of the residents, population density, and income. The overall rate of mail volume decline has slowed substantially in recent years. 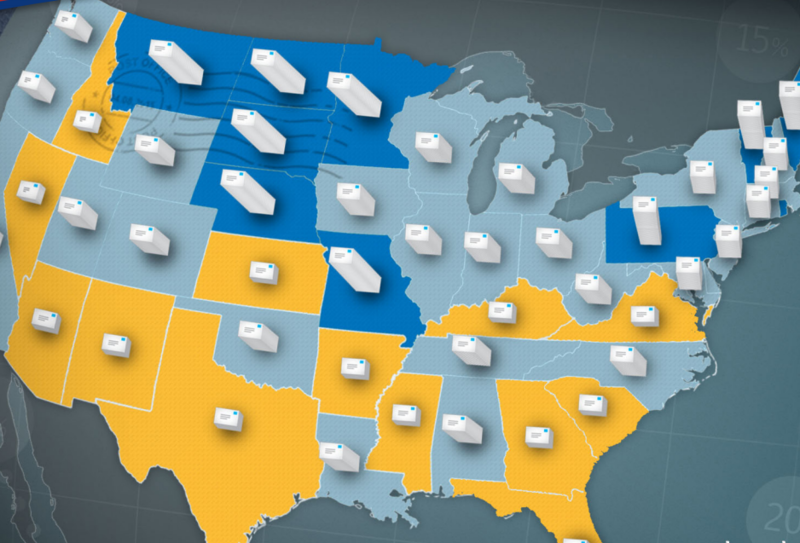 For all mail categories in this study, volume declines vary widely by state and region, but the difference between the highest- and lowest volume states is narrowing. States and regions with lower volumes are also generally showing the slowest rates of decline. Business-to-consumer (B2C) mail like FCMPresort and Marketing Mail continues to be important to the Postal Service, making up 78 percent of total mail volume in 2015. Residents of high-income areas receive substantially more FCM-Presort and Marketing Mail per adult. Residents of rural areas receive less FCM-Presort and Marketing Mail per adult than residents of other areas, especially higher-density suburbs.